Having spent a long time in Bolivia, much of it beset by illnesses, we were excited to explore pastures new. 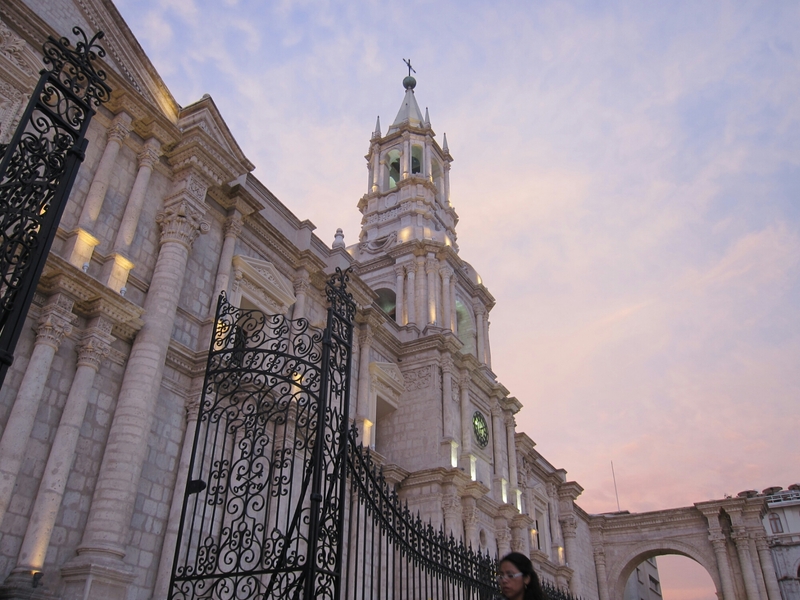 Peru was up next and first stop the beautiful city of Arequipa. We knew very little about it when we arrived but it was a place we instantly fell in love with. The lovely, sunny weather, the white stone European style architecture, the amiable people, and most important of all, the good food all made this a hard city to leave. 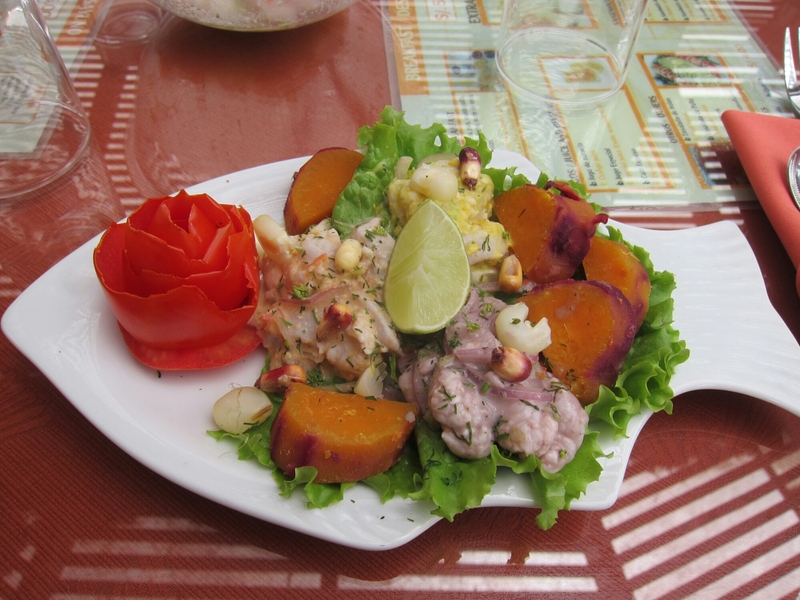 Firstly, Peruvian food is much more varied and lovingly prepared than much we encountered in Bolivia and there are several dishes specific to Arequipa which are delicious and a ‘must-try’. 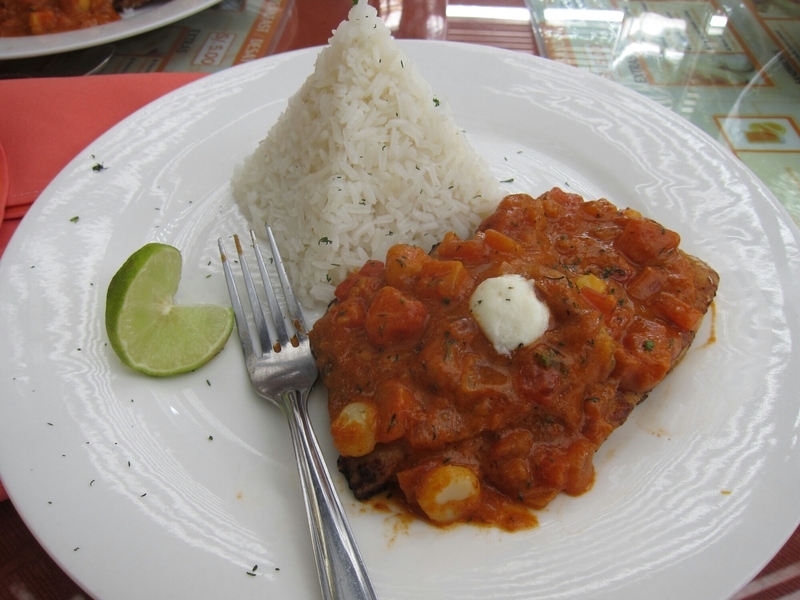 As in Bolivia there are many places you can get a set lunch for not a lot of money, most of the good ones are along the aptly named Bolognesi street just off the main square. 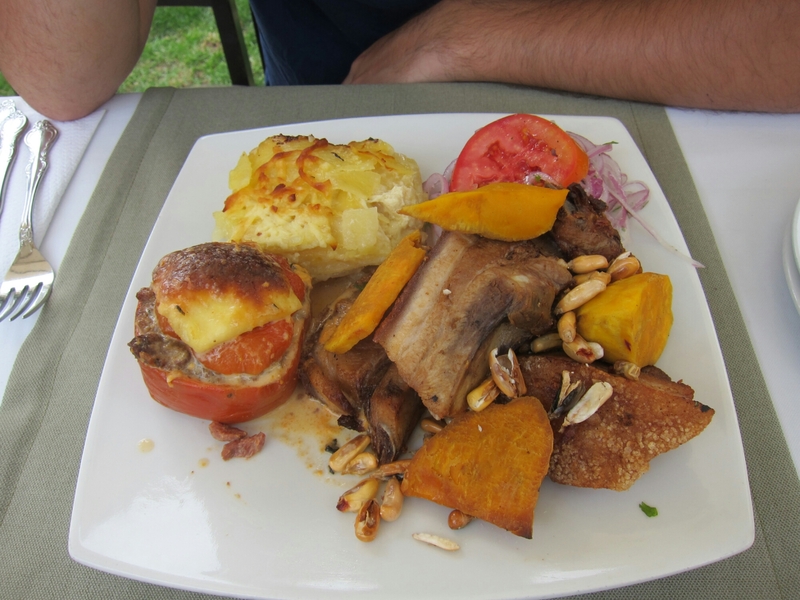 My favourite of these, Ratatouille (a Provencale restaurant) was there and served an excellent set lunch for 8 soles, complete with a variety of delicious grilled vegetables and chicha. 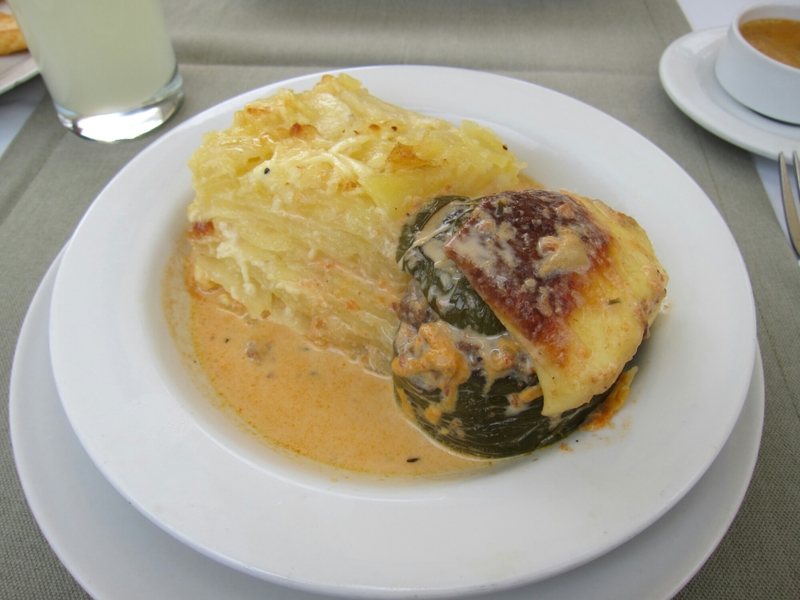 Arequipa is also home to many ‘picanteria’ restaurants, where you can try many local dishes including rocoto relleno (meat stuffed spicy peppers), always accompanied by delicious pastel de papa (basically potatoes au gratin) and lechón (grilled pork). 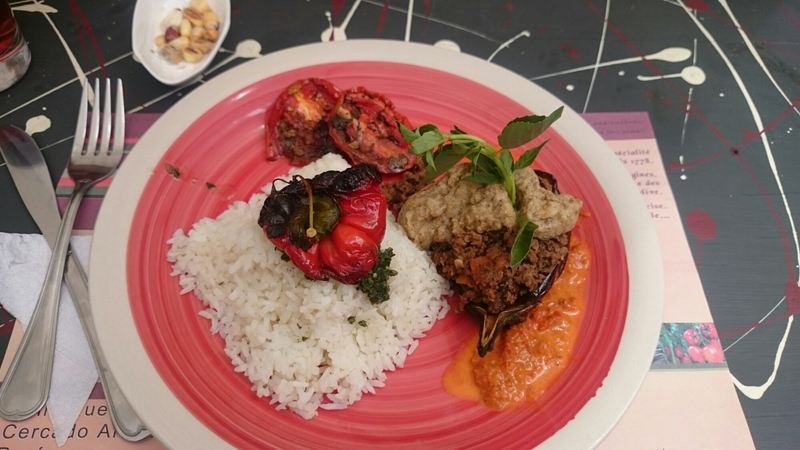 If you’re feeling really hungry, there’s a dish called a ‘doble’ or a ‘triple’ where basically you end up with double or even triple portions of different dishes. 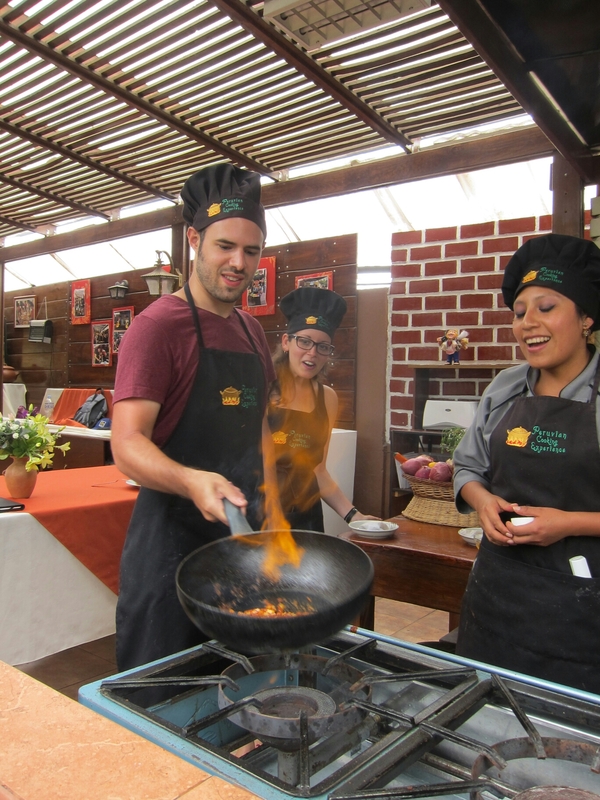 As foodies, the Peruvian cooking experience in Arequipa was something we couldn’t pass up. Located in a gorgeous hotel which has an immaculate garden kitchen (complete with a tortoise who roams freely around the garden!) 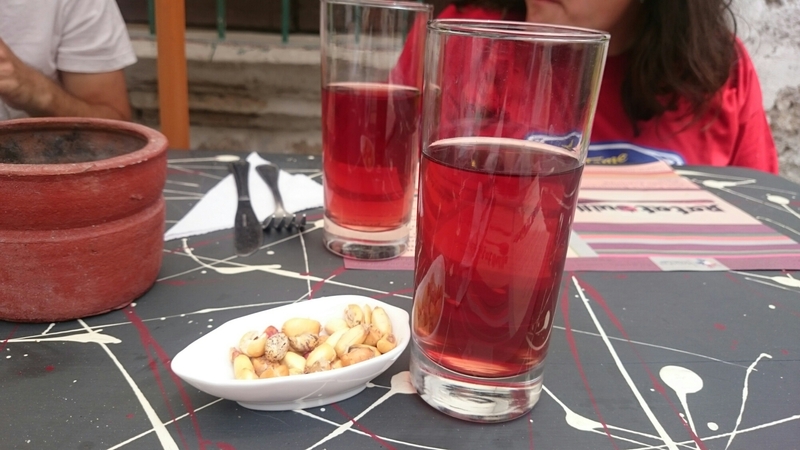 this was one of the best things we did in Arequipa. 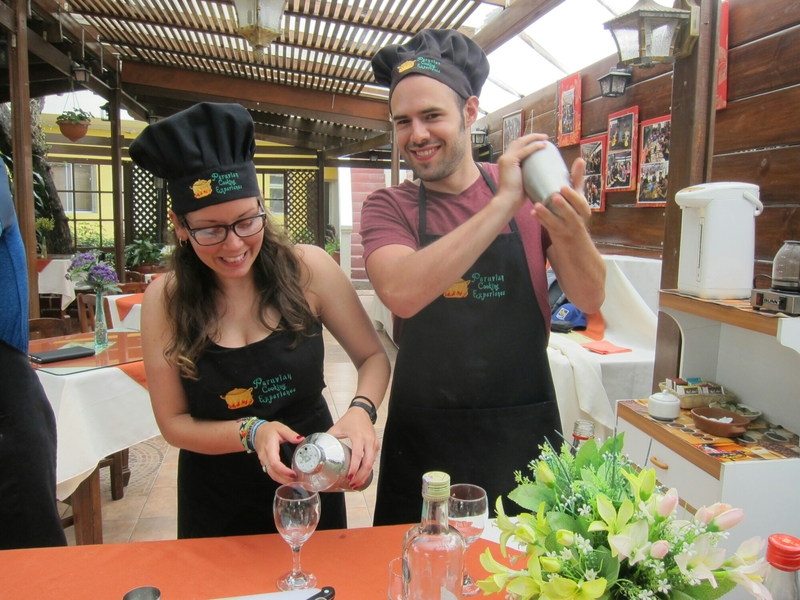 Not only were we ceviche experts by the end, we also know how to make the perfect pisco sour. 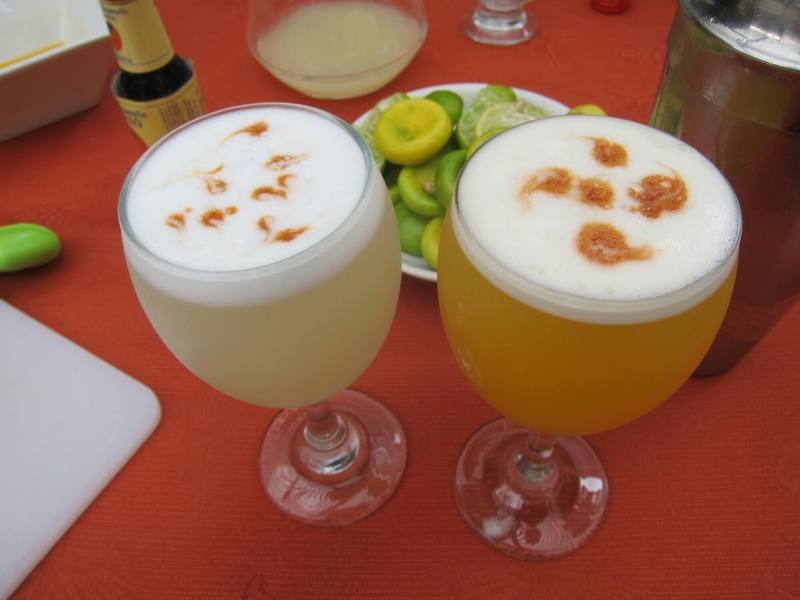 The ultimate Peruvian experience. 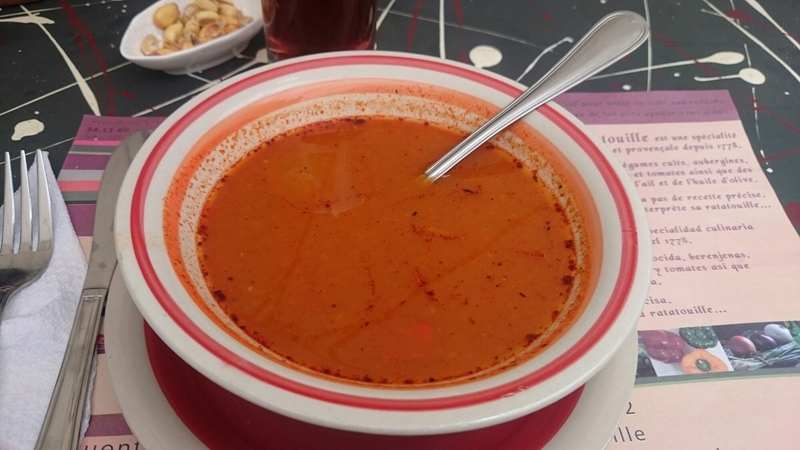 Finally, I couldn’t finish the post without mentioning La Lucha. Now we’re in Lima they seem to be everywhere, but in Arequipa, if you fancy a (slightly!) 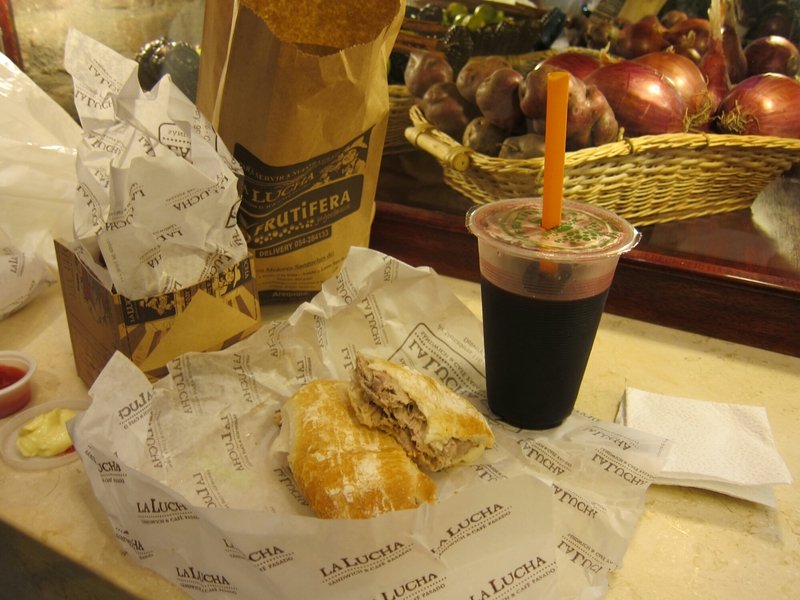 smaller meal or are buying for a long bus journey, you cannot go wrong with the wonderful sandwiches at La Lucha. 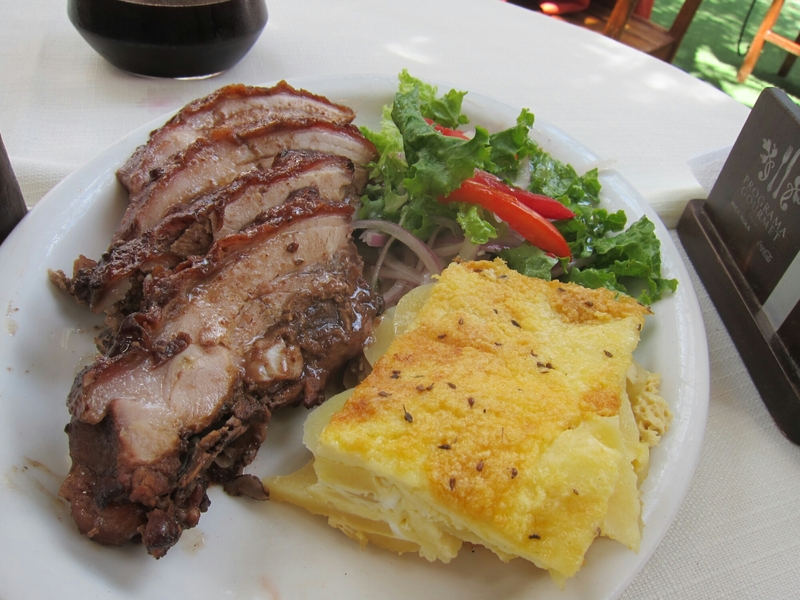 They have a branch just off the main square and they serve delicious lechón, beef and Turkey sandwiches and even better fresh chicha morada. 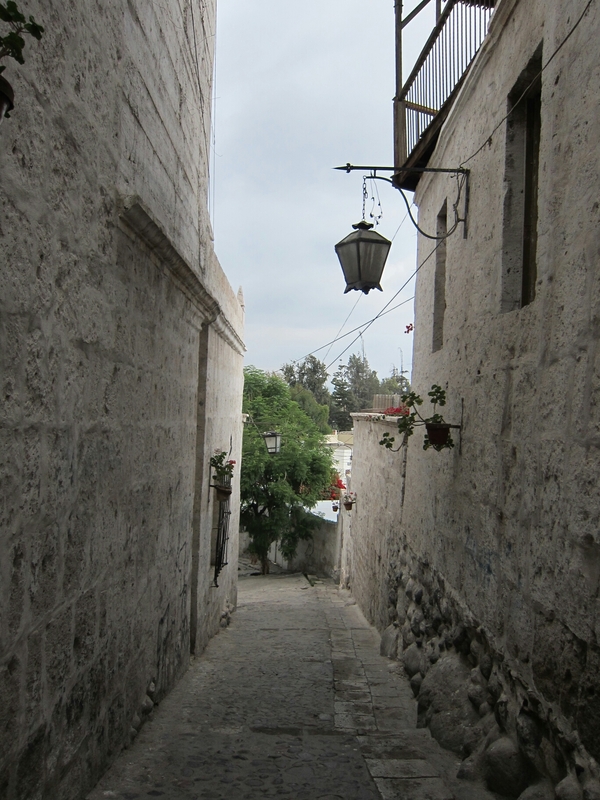 Any weight we lost in Bolivia from illness was firmly back on by the end of Arequipa. We didn’t care at all. 1. 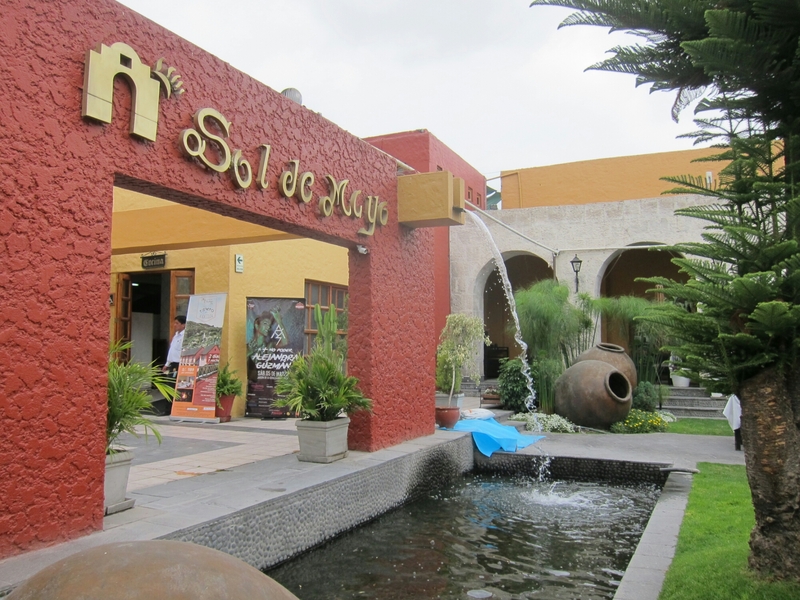 Los Andes bnb is a great place to stay, right next to the main plaza, with 2 supermarkets nearby and a huge kitchen. 2. Yanahuara is a must visit, go to the mirador, grab a queso helado (typical ice cream snack from here, don’t worry it doesn’t taste like cheese!) and enjoy the view. 3. If you travel to the Colca Canyon from Arequipa as we did, a great 3 day trip (saving you lots of money you’d pay for a tour) is to bus to Cabanaconde (you can get the timetable from tourist info) stay at hostel Pachamama one night, hike to Llahuar (6 hrs downhill), stay over and enjoy the hot springs, then hike to Sangalle, enjoy the oasis, and finally do the 3 hrs uphill back to Cabanaconde on the third day early and catch the 2pm bus back to Arequipa. 4. If you travel onwards to Cusco, take the Excluciva overnight bus, it’s cheaper than Cruz del Sur and just as luxurious. Next Article Perú parte 2: Cusco! Looks fabulous Sivvi. Sorry you were ill, but seems you made up for that 😁 Your trip has looked amazing all round.